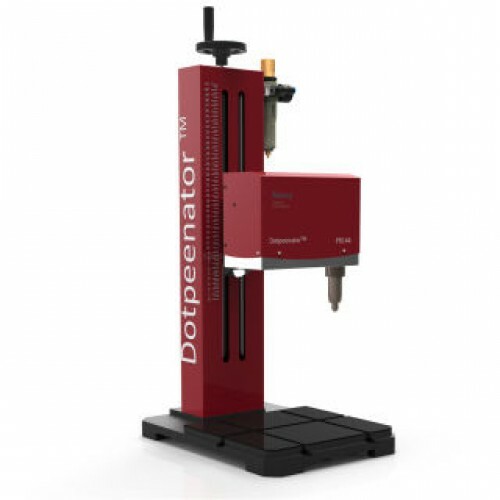 The Dotpeenator ™ DT144 Desktop Model among our dot peen marking machines is a model with a small marking head having a marking area of 140 by 40mm. 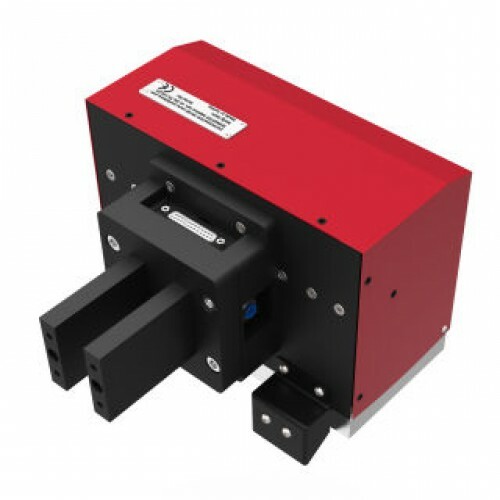 In that model, made of aluminum cage structure, micro linear guideways are used. 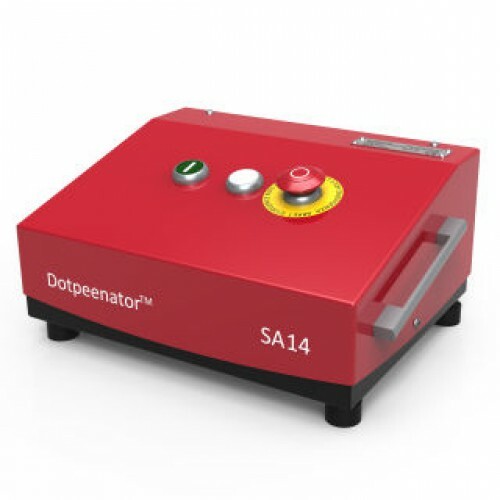 Dotpeenator DT144 marking machine head also uses our own-design optical limit switches with X and Y axis and very low failure rates compared to mechanical or proximity sensors used on X and Y axis. 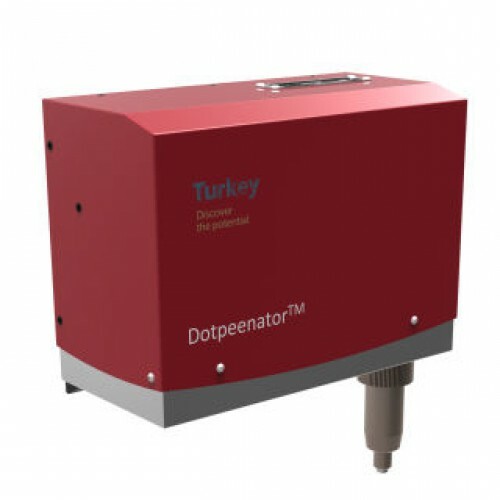 Wİth dust protection covers made from stainless steel sheet metal, Dotpeenator DT144 dot peen marking machine provides long-term service to its investing business concern without requiring any maintenance. 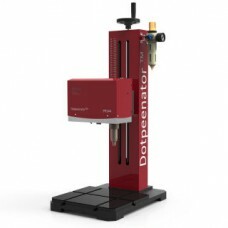 As it is known, the dust sticks the oil or the graphite in the linear guideways, which leads to a fast worsening of the axial precision. 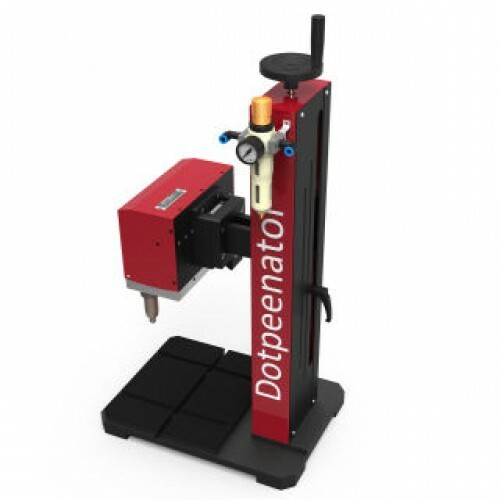 Dotpeenator DT144 dot peen marking machine can be preferred with optional cast iron C axis, which allows the marking head to be positioned at any angle in 360 degrees since DT144 model has a marking head in small dimensions. Therefore, the DT144 marking head is easy to position on its own column and worktable at all angles and thus supports processes for marking the bulky but portable products on the table more precisely. 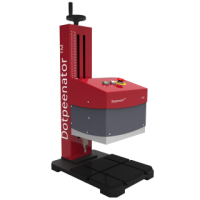 The following peen-cartridge assembly kits also designed and manufactured by SERMATEK can be mounted on the DT144 stylus marking head. 3-YT123P: High Tolerant 3MM Diameter Peen-Cartridge Assembly Kit; performs marking by covering surface differences of 12mm. 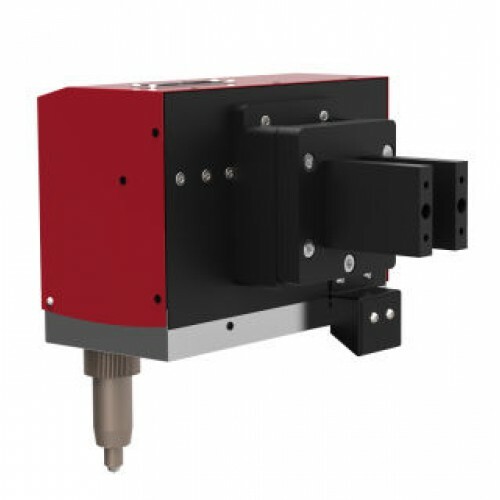 4-YT188P: High Tolerant 8mm Diameter Peen-Cartridge Assembly Kit; performs marking by covering surface differences of 18mm. 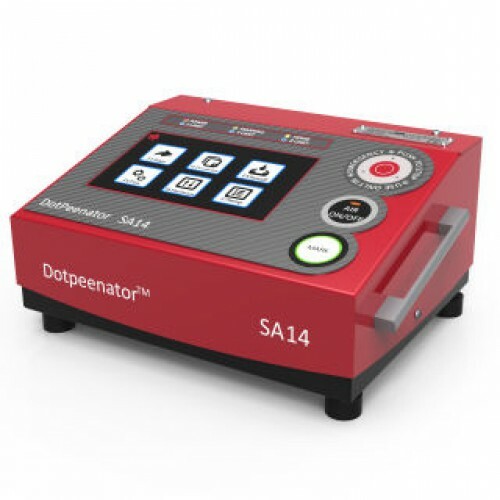 Not being an integrated control unit, Dotpeenator CO9 or SA14 external controllers can be placed next to the DT144 machine, on the table or on the wall, and even 5 or 10m further away from itself. 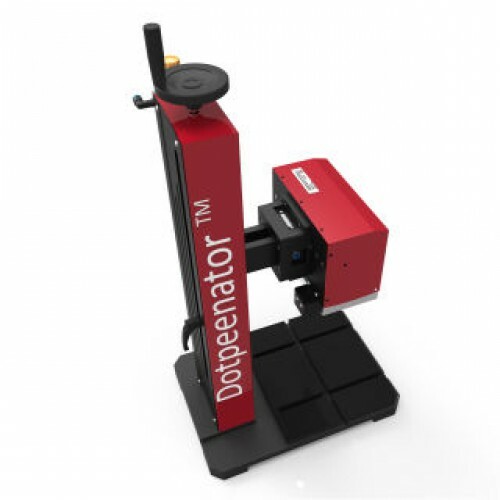 Those external control units allow the DT144 Dot Peen Marking Head to be positioned conveniently at any desired angle, allowing programmers to easily make his marking programs on the external control units in desired positions.